Michiganders are buying Powerball and Mega Millions lottery tickets this week in hopes of winning their share of roughly a billion dollars in prize money. The multi-state lottery jackpots get all the attention. But it’s the smaller games that make most of the money. 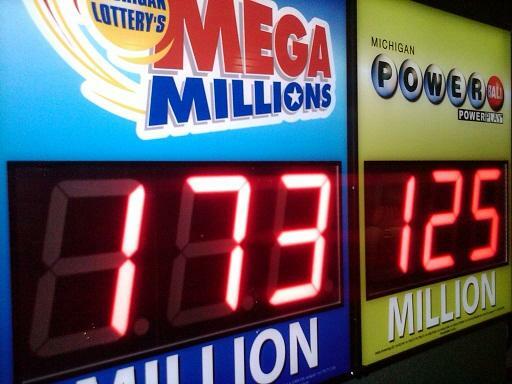 Spokesman Jeff Holyfield says Powerball and Mega Million sales represent only about six to seven percent of the Michigan Lottery’s revenues. The Powerball jackpot has hit a record $1.5 billion for Wednesday night's drawing. Should you beat the astronomical odds and actually win that eye-watering jackpot, you would also surrender your privacy. And that's something State Rep. Ray Franz, R-Onekama, wants to fix. He's introduced a bill that would allow it to be your choice whether the world knows you’ve won the lottery. Wednesday's $500 million Powerball jackpot drawing came and went without a winner. Since then, the jackpot for this Saturday's drawing has climbed to an estimated $800 million. It's the largest prize in American lottery history. Now that you're busy making plans to retire early on a private island in the Caribbean, allow us to burst your champagne bubble. You will probably not win. 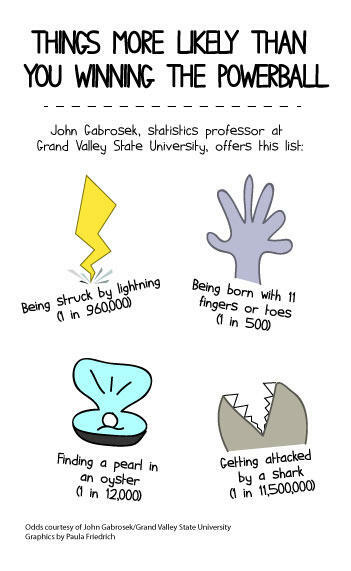 In fact, Grand Valley State University Professor John Gabrosek says the odds of the winner even being from Michigan are less than two percent. The winning ticket to a $310.5 million Powerball jackpot was sold in a small town in southwestern Michigan. Michigan Lottery officials are urging the winner to step forward. The jackpot can be paid over 30 years or the winner can choose a lump sum of about $197 million before taxes. Michigan lottery players are dreaming of winning two huge jackpots these days. More than 700 million dollars is on the line in this weekend’s Powerball and Mega Millions drawings. Andi Brancato is the spokeswoman for the Michigan Lottery. She says the two big jackpots are pushing lottery ticket sales. "The Republican governor gave natural gas a central role in an energy policy that seeks greater efficiency and improvements to infrastructure such as pipelines and the electric transmission grid. It proposes establishing a “strategic natural gas reserve” designed to make the resource more affordable and defends the practice of hydraulic fracturing, or “fracking,” to extract gas from deep underground." "Today could be the last chance to introduce a bill making union membership optional as a condition of employment in the private and public sectors to get it passed by Dec. 13. That's the day legislative leaders hope to head home for the holidays." "The Michigan Lottery says two Powerball tickets worth $1 million each were sold in the state. Officials say the tickets were sold at a liquor store in Kentwood and a CVS pharmacy in Dearborn. 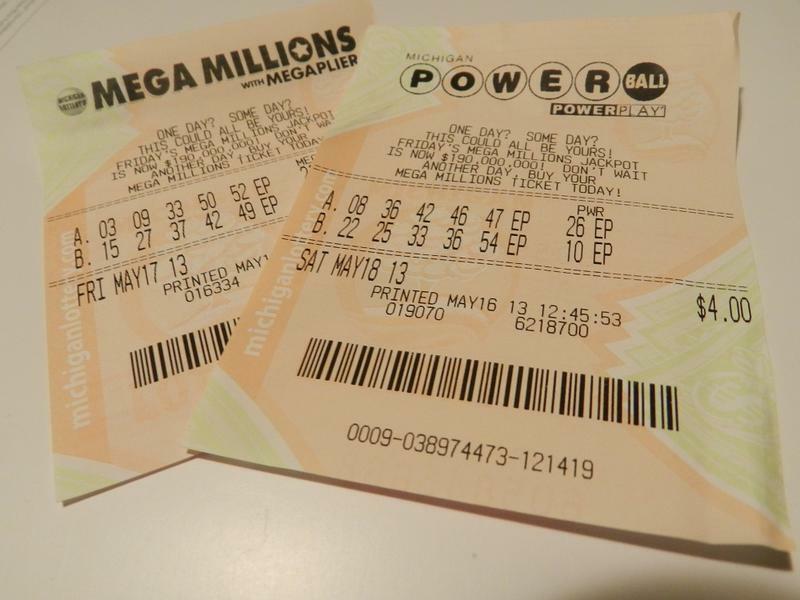 The Michigan tickets matched five numbers drawn last night, but not the Powerball number. Powerball officials said early Thursday that tickets sold in Arizona and Missouri matched all six numbers to win the $579.9 million jackpot," the AP repots. Win the lottery, lose your privacy? LANSING, Mich. (AP) - Multistate lottery winners in Michigan could remain anonymous under a measure being considered by the Michigan Senate. The bill would prohibit the disclosure unless the winner agrees to it in writing. Lottery officials are authorized to disclose a multistate game winner's identity. Sterling Heights Republican and bill sponsor Tory Rocca says winners should be allowed keep their privacy, particularly for their own safety. 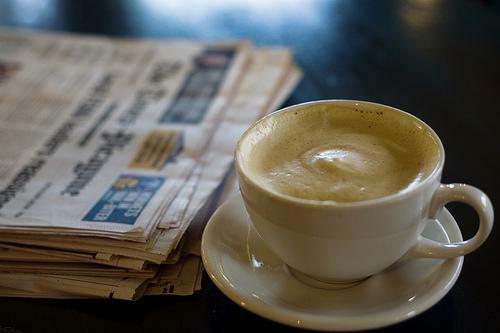 Shopping malls won’t be the only retailers doing brisk business this weekend. The Mega Millions and Powerball lotteries have a combined jackpot of about $300 million. Andi Brancato is the Michigan Lottery’s spokeswoman. She says big jackpots usually draw in people who don’t normally buy lottery tickets. And Brancato says that’s good news to Michigan’s eleven thousand lottery retailers.